Sometimes, when we know virtually nothing about a person we think of the situation as a brick wall. It certainly is a wall, but my goal is to go over, under, around, or through the impediment. There is always a way to progress, albeit a very difficult way to get around it. One of my walls is Kath Stuckling(er). Not only are there fewer records available online for Switzerland than US records, there is a language barrier, because I don’t read or speak German and what records I do find are brutally slow for me to go through. Kath. Stuckling is one of those people. 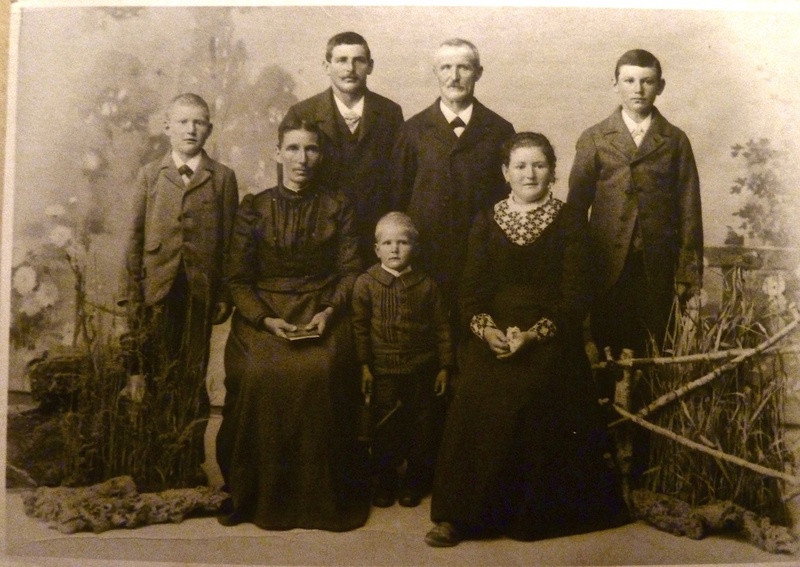 I don’t know when she was born, but because her eldest child, John [Johan] was born in 1880, we can guess that Kath was born sometime between 1845 and 1865 (that would make her between 15 and 35 at the time of his birth). Consequently, I use 1855 plus or minus 10 years. I’m not even positive that her maiden surname was Stuckling. An index for the above record indicates her name as Stucklinger. When I ordered the microfilm and reviewed it (see above) at my local Family History Library, I couldn’t see the “er” at the end. Maybe it is visible in the original document, but, I don’t see it in this microfilm version. So, either there is an error in the index or an error in the image on the microfilm, Anyway, because I can’t see the “er,” I’m sticking with Stuckling for now, although I do have Stucklinger as a possible alternative. I suspect that Kath and Jacob were married one to two years before their oldest child, John, was born. 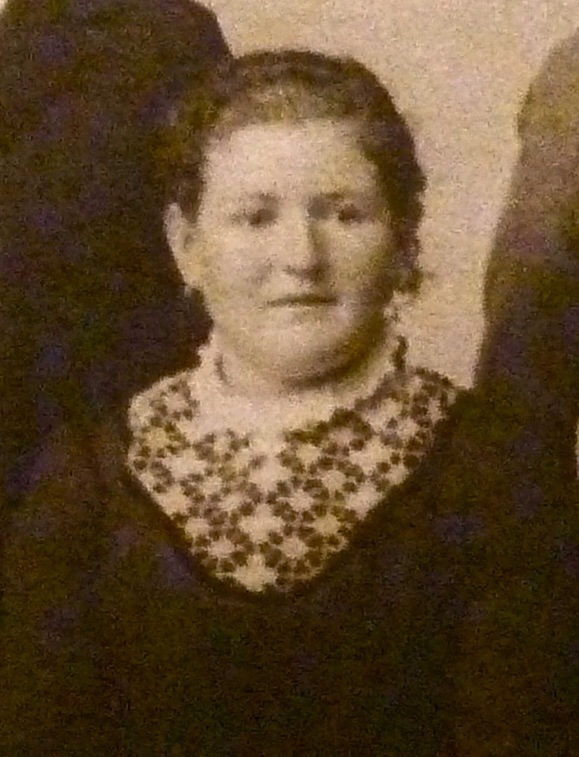 We do have a photo of Kath as part of a family portrait taken about 1900., before her son John left for the United States. The children’s names are based upon that photo and the marks on the back. Finally, I’m going to make a wild estimate that Kath died before she was 90, although I have absolutely no reason to make that speculation. Anyway, I’ll guess she died before 1945. Katherine Stucklinger, born c. 1855 in Switzerland. Married John Huber c. 1878. I’ve tried finding out more about Katherine and Jacob. I’m not finding them or their children in any of the systems I use. I’m still looking though. 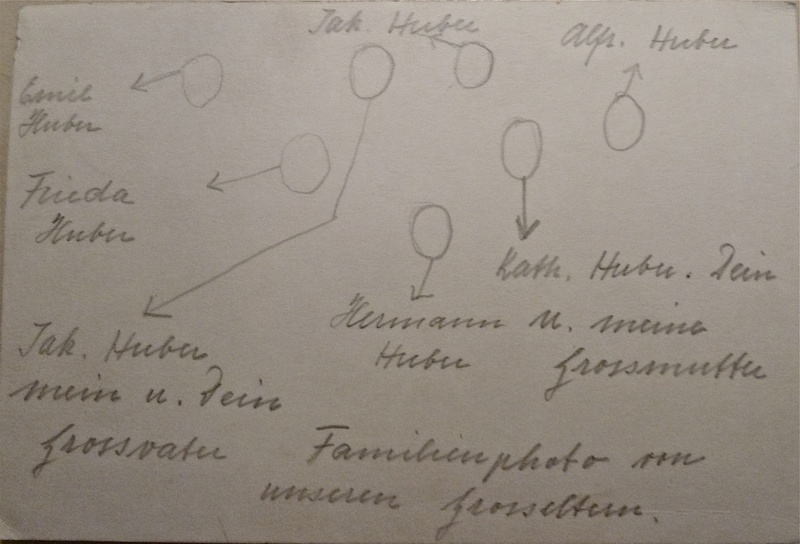 But, I’m almost to the point of wanting to take a field trip to Switzerland to continue researching or hiring someone in Windlach to find birth, marriage, and death record for Kath, her husband, and four of her children.